Media Filtration is the most effective method for removal of suspended organic and inorganic solids from water. Corodex media filters operate on the same basic principle as nature's own ground water filtering process. 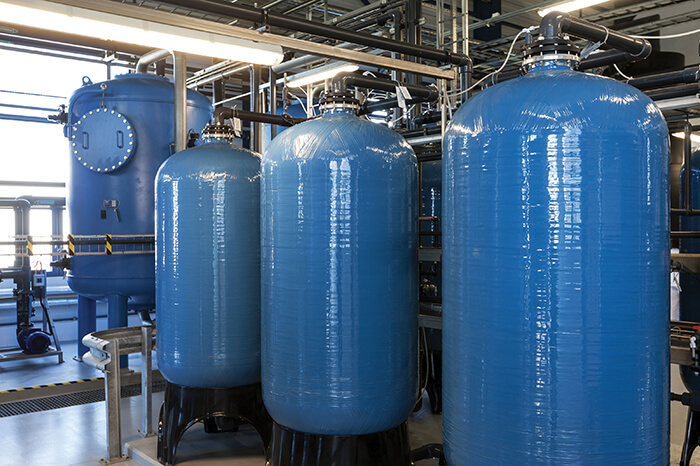 Contaminated unfiltered water enters the system through a deflector at the top of the filter and flows under pressure, through the media where solid particulate is entrapped. All filters are available in epoxy coated steel or fiber glass construction material with automatic/manual operation and back-wash. Manual plastic or cast iron valves and electrically actuated valves can be provided. Automatic top-mounted or side-mounted heads can be fitted, with stager and a nest of air-operated diaphragm valves. Upon request, steel pressure vessels can be supplied in either vertical or horizontal configuration, in single or multiple parallel units.